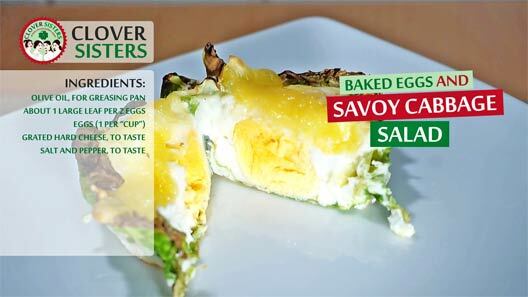 Breakfast for children, or starter for the parties, Baked egg in savoy cabbage cups are great choice either way. Combination of colors and tastes is irresistible and it’s naturally served in a muffin size. Just a perfect way to start a day. 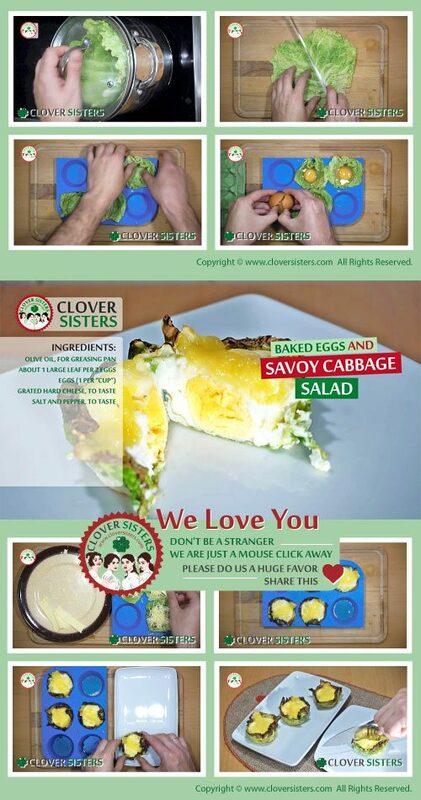 Grease the muffin tray and in each mold place one leaf of the savoy cabbage. Crack the eggs directly into each mold. Season to taste and sprinkle with grated cheese. Bake in the oven preheated to 400F (220C) until egg is done at your preference.